Blogging. It’s a big bandwagon and it seems like everybody’s on it. Offering the chance of engagement with a potentially massive audience; they’re particularly beneficial for growing and promoting your business. Here are 5 reasons why blogging is good for your business. Blogging about the things that matter to your business or industry, and therefore your customers and clients, creates an air of authority. By posting well researched and well thought out posts, you establish yourself as someone who knows what they’re talking about. More importantly, it means people can trust you, the information you provide, and by extension, your business. Hummingbird is Google’s latest search algorithm. Long story short, it’s the way they process and deliver search results. And it loves high quality, new content. Regular blogging injects fresh content into your website, making Google sit up and take notice. This increases your visibility in the vastness of the internet; making you more competitive in a world suffering from information overload. Add in the extra visibility you’ll get from readers sharing your content through social media and you’ll be shining like a lighthouse in no time. Look at any of the big blogs (Mamamia, Hubspot) and you’ll see they’ve got thousands of readers; all commenting, engaging and interacting. That’s what you want for your blog. Although you might not start with quite the same level of readership, you should still be aiming for posts that stir debate, ask questions and encourage discussion. 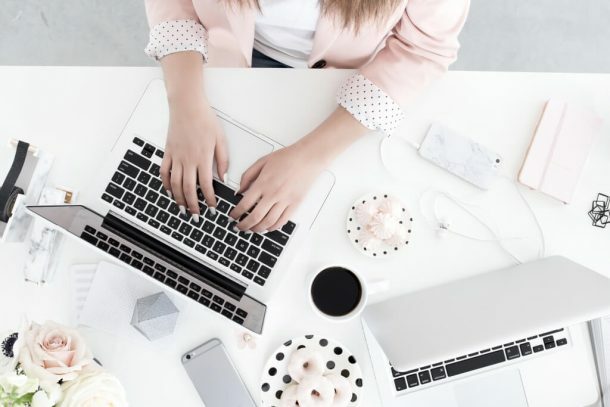 Stick at it and you’ll form a tribe of people who’ll talk about you and your business on multiple platforms, helping further cement your presence in the blogosphere as an expert in your industry. I won’t lie; blogging’s hard work. It’s difficult to keep coming up with relevant and thoughtful topics, to stick to a regular posting schedule and, not least of all, to write something worth reading. You’re also responsible for monitoring the posts, responding to comments and encouraging discussion among your readers. Good blogging needs a high level of organisation and focus. So you need to be at the top of your game. That means being abreast of the newest developments and innovations in your industry, as well as knowing what your customers and clients are really interested in and want to learn and/or talk about. If you’re unsure, ask them! The blog’s for them after all. A good blog is like a good conversation and can be an incredible learning opportunity. By asking your readers what they want to know about or need help with, you’ve opened a door to potential business growth. Ask the right questions and you’ll get hints and tips about how to run your business better from the people who really matter – your clients and customers. And who knows, you might come up with the perfect solution to a client’s problems; taking your business in a whole new direction. Just remember, a good blog is not really about you or your business – it’s about your customers and clients. Give them what they want and need and you and your business will flourish. Be consistent – Good blogging is regular blogging. Work out a regular posting schedule and stick to it. Starting small is the best way to go; you can always increase your frequency once it’s part of your well oiled routine machine. Be relevant, entertaining & informative – Whether you’re talking about serious stuff or things on the more frivolous end of the scale, you want people to read your blog. So post on subjects that mean something to your audience. Keep them up-to-date with recent developments in your industry, give them tips on how to run their businesses or lives better, help them out in some way. And if you’re unsure about what they’re really interested in; ask them! Make it shareable – The more your readers share your blogs, the greater your visibility and the more potential to grow your business. So focus on producing well written, quality posts with catchy headlines, inspirational images and relevant videos and links. Stick to the point – There are no hard and fast rules when it comes to blogging. You don’t have to write a 1000 word post every time you blog. Focus on quality, not quantity and say what you need to say in the most entertaining, yet succinct way possible. Remember your readers lead busy lives too and don’t want to spend half an hour reading your 3000 word post on the newest whatever to hit the market. Do them and yourself a favour and keep it reasonably short, sweet, and to the point. Over to you! Do you blog for your business? What are your best tips for blogging success? As a freelance copywriter running her own business, Shauna knows a thing or two about how to string a sentence together for maximum impact. A regular blogger for her own business, ‘Take my word for it’, she’d love to hear about your adventures in the blogosphere.